The EU/USD currency pair started a correction. 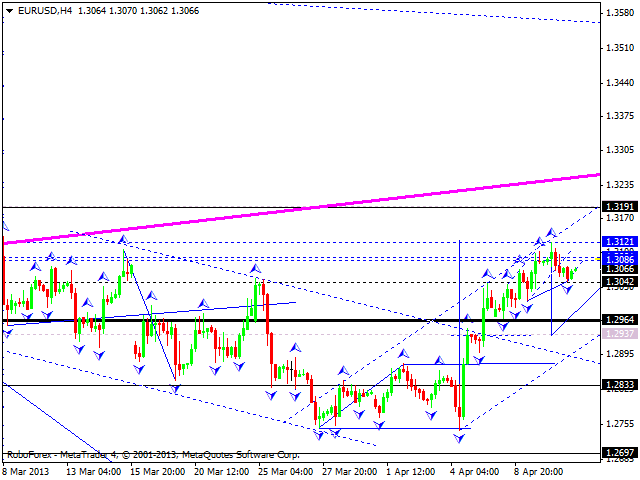 We think today the price may continue moving downwards to reach the level of 1.2940. The market completed the first impulse of this correction and right now is correcting it. 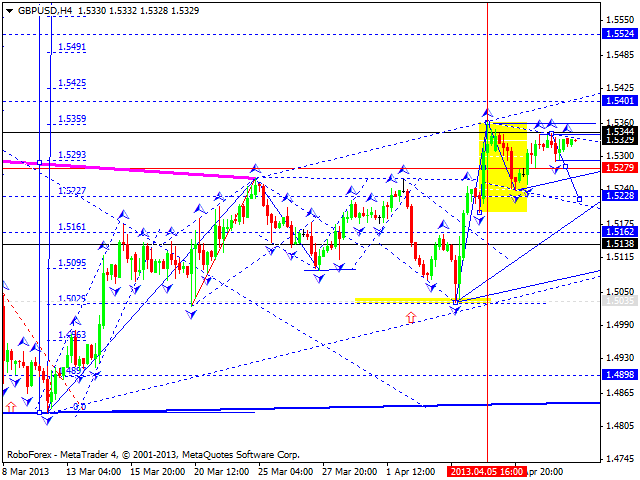 The pair may move upwards a little bit to reach the level of 1.3080 and then start forming a new descending structure. 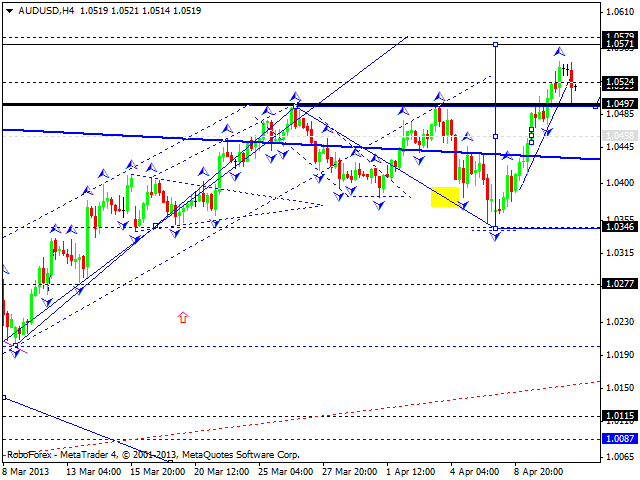 The GBP/USD currency pair is moving near its maximums inside the third ascending wave with the target at 1.5500. So far, the pair formed only one structure inside this correction, that’s why we think it may form one more descending structure towards the level of 1.5230. Later, in our opinion, the market may start a new ascending movement. The USD/CHF currency pair is starting the first correctional structure. 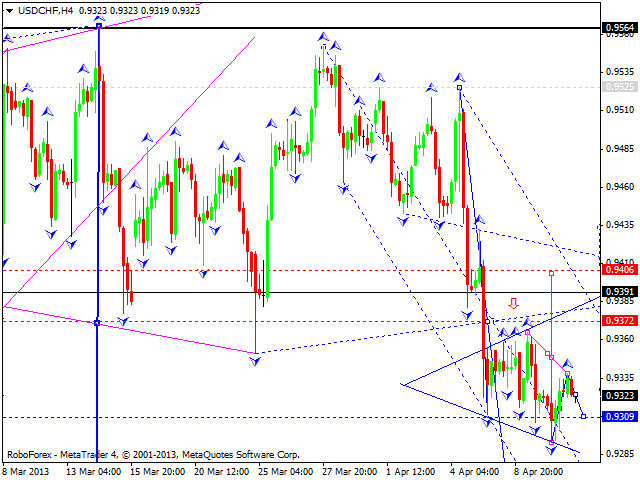 The target of this correction is at 0.9400. By now, the market has completed the first impulse and at the moment is correcting it. Later, in our opinion, the price may reach the level of 0.9310 and then continue moving upwards. 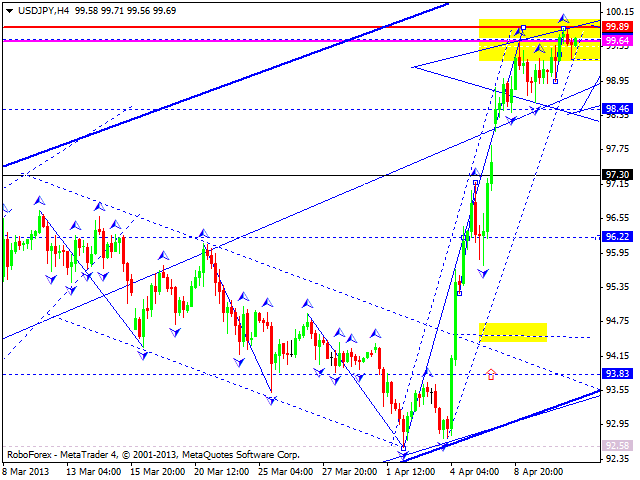 The USD/JPY currency pair is still forming an ascending wave. However, we should note that the price has already reach the level of 99.87 and become quite weak. We think today, the price may try to reach new maximums and then start forming a pivot point and a reversal pattern in order to make a reverse and start a new descending movement. Australian Dollar continues to expand an ascending wave; right now, it’s forming a descending impulse with the target at 1.0495. Later, in our opinion, the price may grow up towards the level of 1.0570, make a reverse, and move downwards to reach the target at 1.0345. It looks like Gold completed the first ascending wave and then corrected it. 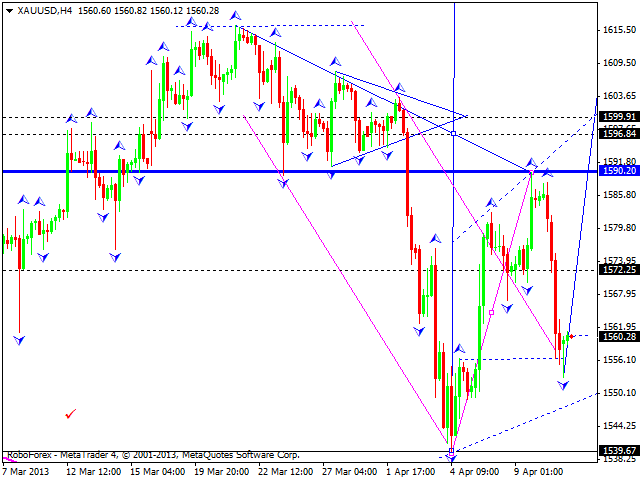 We think today the price may start the third wave to break the level of 1590. Later, in our opinion, the instrument may consolidate for a while and then form a continuation pattern with a predicted target at 1640.